How Many Colors Does A Rainbow Have? (Commentary on Ahmed Raji's series "The Lost Rainbow"
Cyber politics in Awate.com has morphed into an arena where victims blame other victims. And Ahmed Raji's series of articles under the title, "The Lost Rainbow", have been providing the fertilizer for cultivating seeds of ethnic division and hatred. Ahmed's works also encouraged many to vent their anger and resentment on the Tygrina Christian Highlanders. From among many of the articles written, the most dangerous were those of Ahmed Raji's and Menghis TM, for two reasons. Their approach and tone have the appearance of well researched and argued scholastic papers which if taken without a grain of salt may mislead and deceive many gullible readers. Secondly, their styles are deliberate and calculating and play the victim card very cleverly. Such writings nourish persecution complex on some ethnic groups. The Eritrean people are being victimized by a dictatorial regime. And the call should be how to unseat the regime and have a responsible and transparent government in place instead of dwelling on frivolous issues like Christian vs Muslim, Highlander vs Lowlander kind of dichotomies. It is very sad to see Ahmed Raj and other knowledgeable writers wasting their valuable time and energy to prove that the blame for the agony and deprivation of Eritrean Muslim lowlanders lies squarely on the shoulders of Eritrean Christian Highlanders. The insinuation that Highlanders empowered the regime to do what it does is a misstatement of the worst kind. A lion gets a hearty meal by preying on a zebra. The zebra blames the wildebeest blue for making a thunderous stampede that woke up the lion just as the zebra was coincidentally within the killing range of the lion. That's how Ahmed's analysis looked to me. The hate literature directed at Eritrean Tygrina Christian Highlanders reminds me of the resentment white Southerners had for Northerners during the American civil war of the mid 1800. Ali Salim calls Christian Highlanders "land grabbers" and "shifta Gebres" just as the Southerners use to call the Northerners “carpetbaggers” during the American Civil war. The term "carpetbagger" has the generic meaning of a presumptuous newcomer who enters a new territory seeking success. In terms of viciousness and callousness the word "land grabber" is a perfect parallel for "carpetbagger", in that these two marauding characters move into new territories bringing along with them nothing but their meager belongings with the aim of making fortunes and political careers. The only difference between the Eritrean "land grabbers" and the civil war era carpetbaggers is that the latter group was real and instrumental in subduing slave owning southern cotton farmers and helping ex-slaves to vote, while the former exist only in the figments of Ali Salim's imagination. The fact remains that the average highlander is as poor and down trodden as his lowland counterpart. Ali Salim's frantic and exhausting soliloquy got many hate writers into motion. 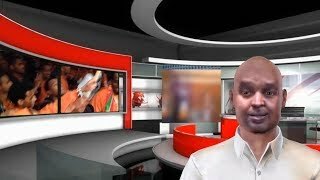 Their exertion to throw hate darts into Awate.com cyber board is alarming. This brings us to the main topic of this article. How many colors does a rainbow have? A rainbow is believed to be made up of seven colors - red, orange, yellow, green, blue, indigo, and violet by the casual observer. Scientifically, however, the rainbow is a whole continuum of colors from red to violet and even beyond the colors that the eye can see. I am not a mind reader but from what I read, Ahmed Raj seems to see only two colors in a rainbow. The rest of the colors he leaves for sheer speculation. Since his vision seems to be limited to seeing only two colors in a rainbow he also is in the habit of first making his preconceived conclusions and then working down from there to find data to validate them. And what an assortment of tainted and "convenient" data he has!!!! Like the colors in a rainbow the problems facing the Eritrean people are very complex. In a complex study like this a researcher, worth his salt, really needs to check a lot of different combinations of factors to draw a complete picture. Failure to be careful in this respect or approaching the problem in a haphazard manner can be dangerous, if not downright disastrous. In my opinion, Ahmed Raj failed to check different combinations of factors and to weigh in their relative importance. He considered only those factors and or facts that fit into his preconceived notions. Secondly, his studies have a lot of sampling errors. He does not seem to be aware that the samples he claims to have observed should be representative of the target population in order for his inferences to be valid. For example, how can a handful more Air force personnel of highland decent make this group more privileged? Such kind of analysis is a stretch. It is dangerous to use isolated and insignificant occurrences to make generalized statements. 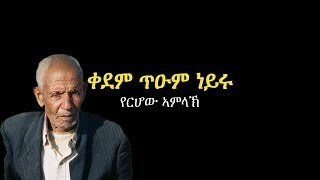 Ahmed Raj's mission was to show that Eritrean Christian Highlanders are thriving under the Eritrean regime. He repeatedly asserted that this ethnic group has been privileged in every aspect and that favorable conditions have been created for it to live prosperously. While in contrast, the Eritrean Muslim Lowlanders have been targeted for oppression and marginalization and been relegated to the end of the food chain. There cannot be anything farther from the truth than this kind of blanket statement. When studying people, it is very difficult to come up with clear cut statistical answers. A common body of knowledge accompanied by valid and sufficient data is required to make multiple comparisons. 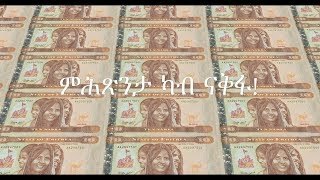 In the Eritrean case, it would probably be necessary to examine household income, life expectancy, educational level, home ownership, economic and political power by ethnicity or religious group to arrive at a definitive answer as to whether or not one class of people is being marginalized or not. Ahmed Raji has not dwelt on any of these factors. And I don't blame him for that. He seems to overlook the cultural dynamics of Eritrea too. For example, Tygrina highlanders may be more inclined to participate in public service while Muslims dominate in the private sector. The Gurages and Aderes in Ethiopia and the Jebertis in Eritrea may not be active participants in the public sector. But they wrest a great deal of economic power because they dominate in business and commerce. Can we, therefore, say that the Gurages and Aderes and the Jebertis are marginalized? This perspective is just one color in the rainbow that Ahmed Raj overlooked. But then a study of this nature is very challenging because there must be a preponderance of data and or evidence to prove assertions. 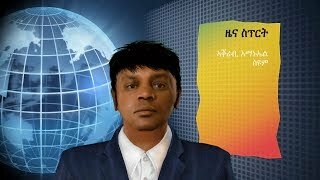 The problem is even if Ahmed Raj had tried to collect data on a number of aspects, there would be little data available for him in the Eritrean public domain. So, that's why Ahmed Raj’s analysis was incomplete. I believe he has all the good intentions to share his opinions to the public but he should have thought twice before making some generalizations that may be taken by many susceptible readers for absolute truth and thus may provide the wrong kind of direction and or orientation to their political behavior. However, this is not to say that there are no disparities in Eritrean society under this regime. And Ahmed Raj, in his last writing, seems to have come to his senses to state that Christian Highlanders have not necessarily benefited under this regime. This is a reversal of his previous thesis. We are glad to read that this distinguished writer has finally yielded to reason and good conscience and has decided to tone down his divisive rhetoric. And we hope the other controversial writers like Ali Salim and Saleh Gadi will follow suit and repair the damage they had done to the unity of the Eritrean people. I hope they too have felt the heat of many concerned writers who condemned their rhetoric. I hope they too will come to their senses and apologize to our people for their irresponsible writings. Every Eritreans stands to gain in unity. We may have differences but we need to learn to sort them out without rattling scimitars. We need to learn and also work very hard to create a civil society where mutual understanding and consideration for one another is the norm rather than the exception.